A huge Dexter reunion is coming through CBS' new drama 'Limitless'. 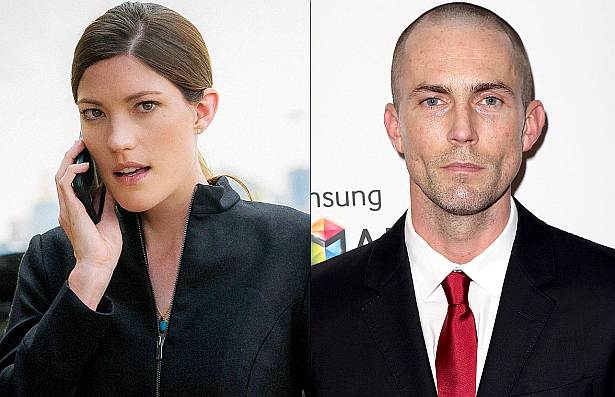 Desmond Harrington aka Joey Quinn joins drama series starring Jennifer Carpenter for at least one episode, with the potential to recur. According to EW, they’ll be treading in very familiar territory. Someone VERY exciting just got cast in our 5th episode of @LimitlessCBS !!!!!! I'm freaking out!! Harrington, who's currently starring on The Astronaut Wives Club along with Yvonne Strahovski will play Casey Rooks, a Special Agent with FBI SWAT who has a background in martial arts, combat sports and meditation, all of which inform his quiet but formidable presence. When he is assigned to give Brian basic training, he’s impressed by Brian’s ability to master skills that took Casey years to acquire. Driven by his jealousy, or perhaps another agenda, Casey will keep a close eye on Brian, hoping to uncover his secret. But Casey also has a secret of his own to protect: his covert love affair with Brian’s boss, Agent Rebecca Harris. The news comes on the heels of another Dexter alum heading to CBS. Julie Benz has been tapped to play Daniel Dae Kim’s love interest over a multi-episode arc on Hawaii Five-0.